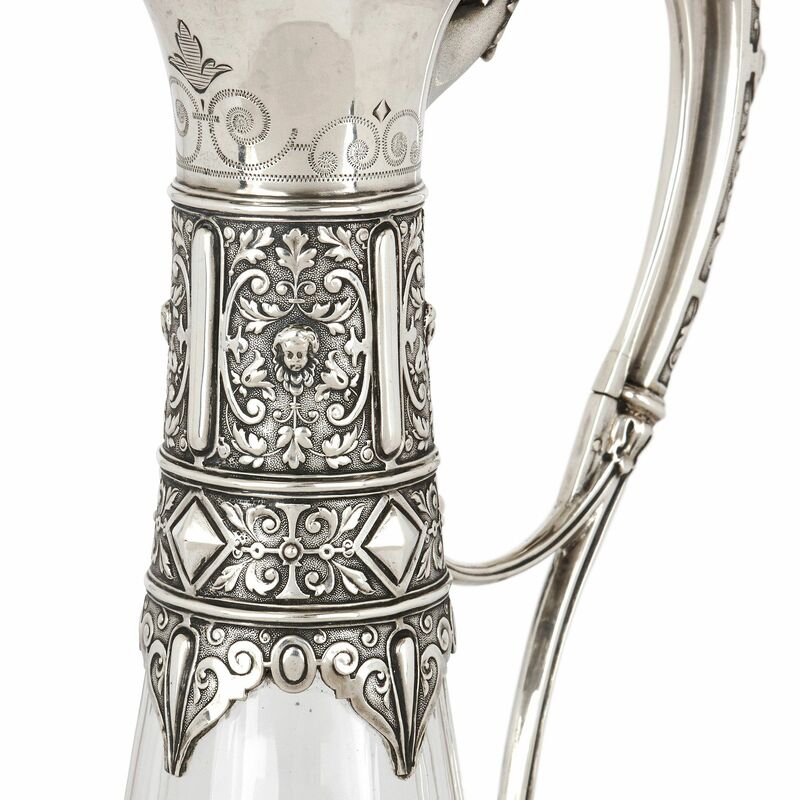 This stunning set of antique decanters, featuring exceptional detailing, are testimony to the exquisite work of German silversmiths Koch & Bergfeld. 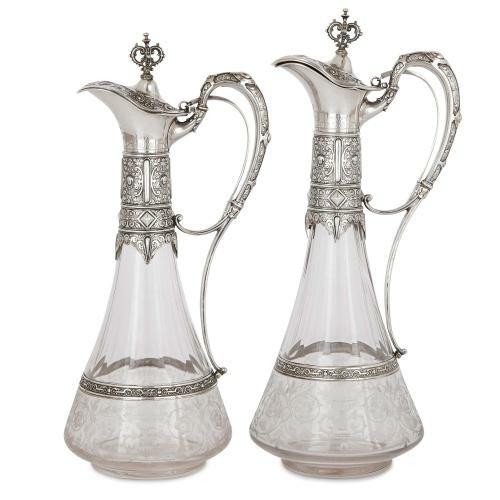 The two decanters are similarly designed and feature conical bodies of crystal, each decorated to the lower section with scrolling arabesques and foliage, below an intricate band of silver. 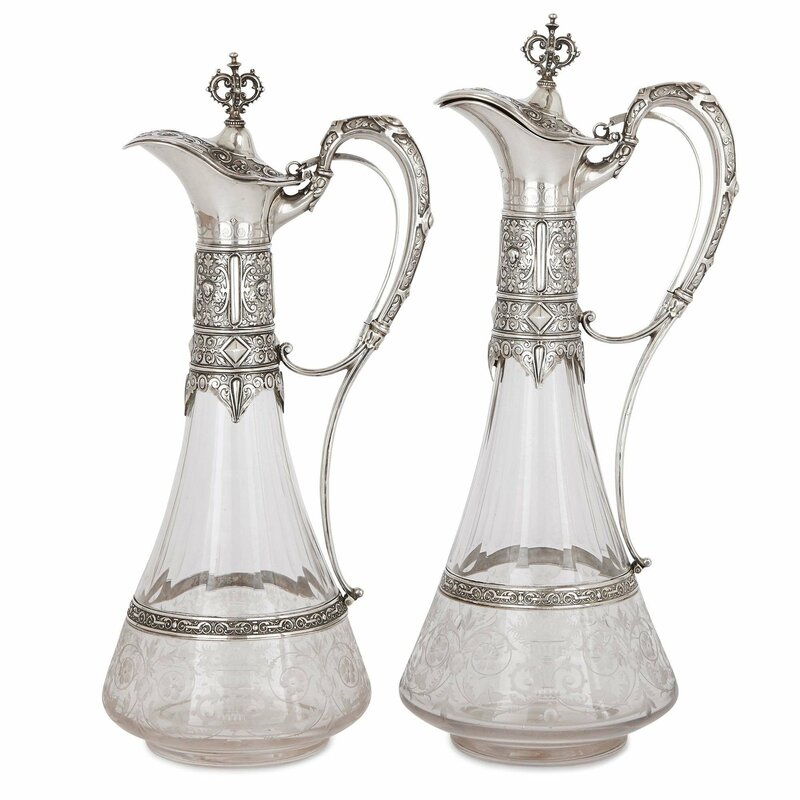 Above, the ribbed and tapered necks of the decanters are mounted with silver, leading to individual scrolling handles and hinged lids to the curved spouts, which are surmounted with crowns. 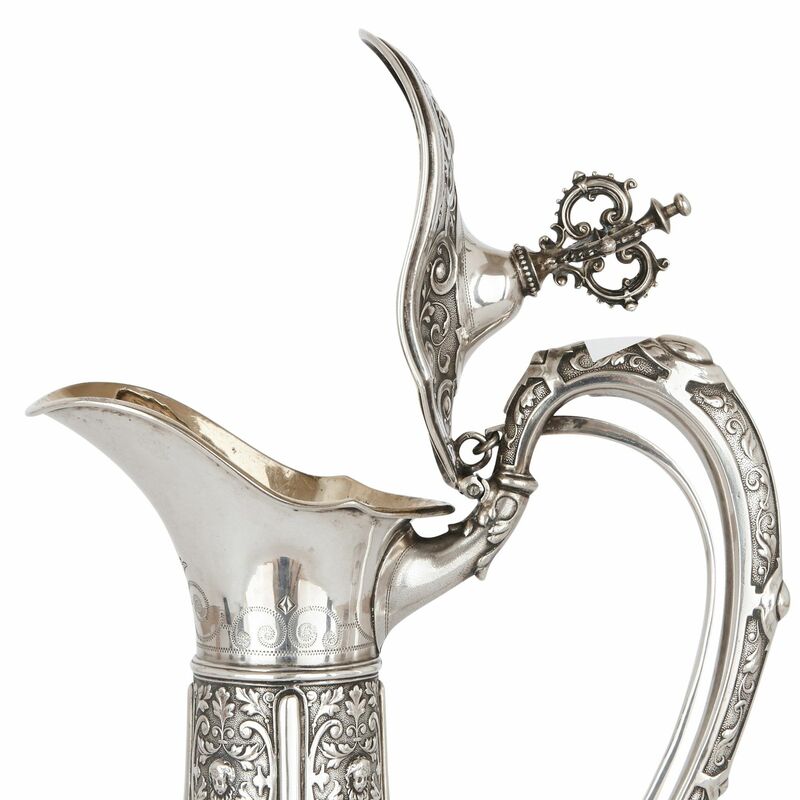 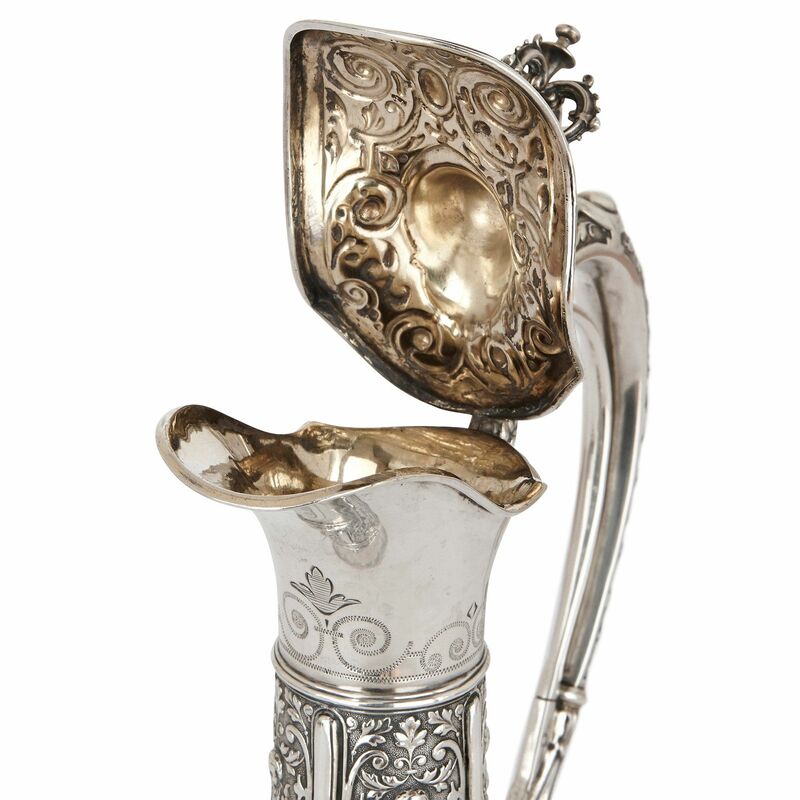 The silverwork is decorated using the repousse technique, and features intricately scrolling arabesques, which compliment the design engraved on the crystal. 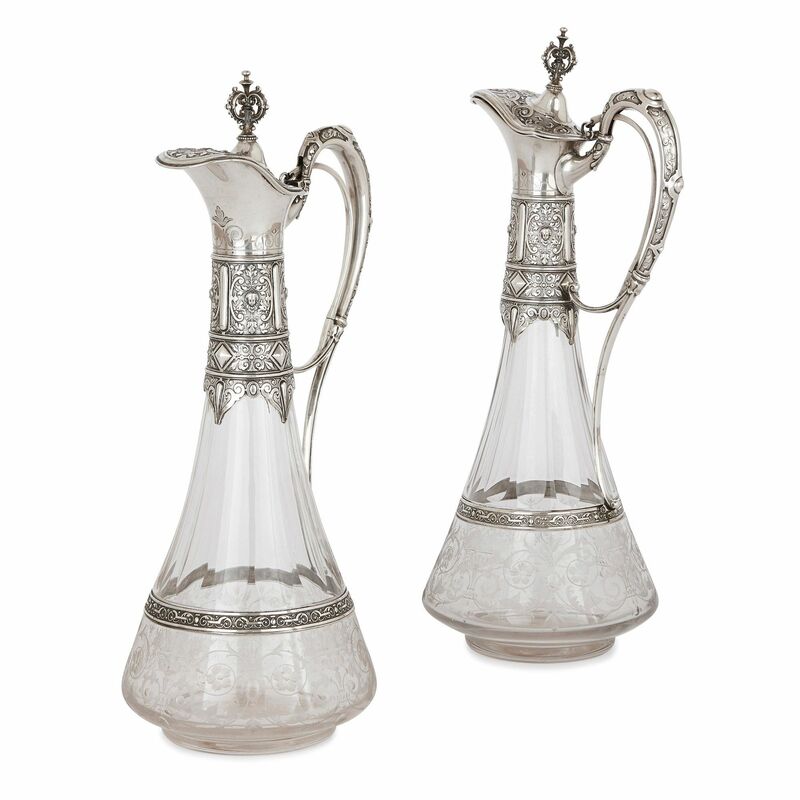 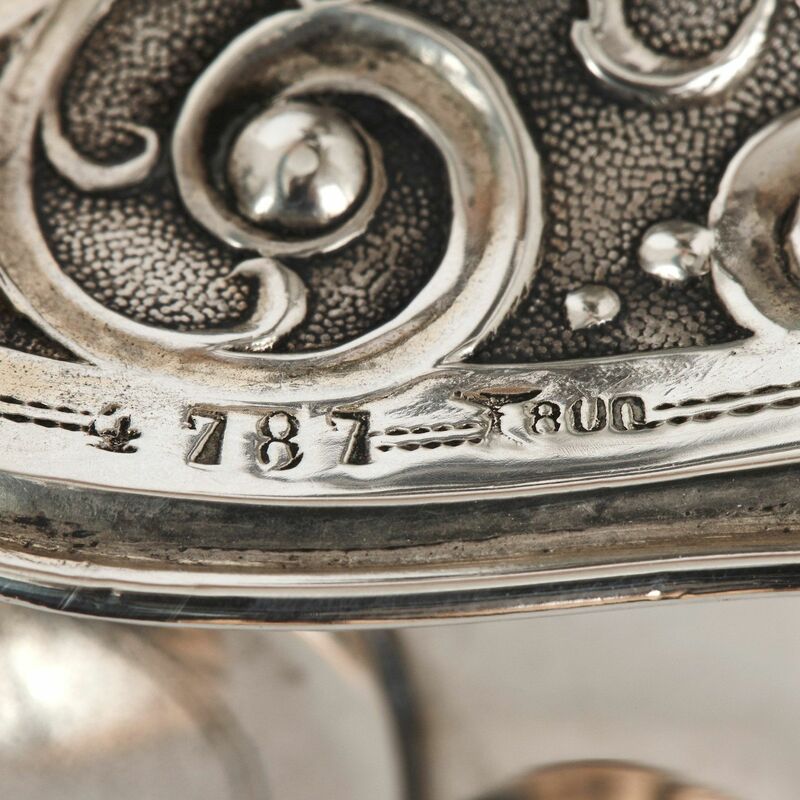 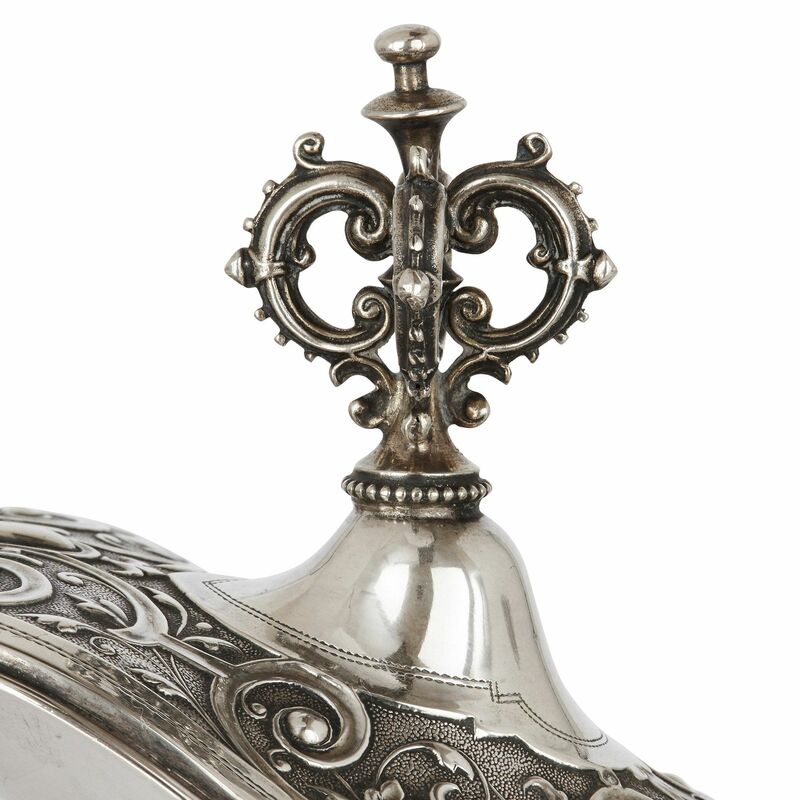 Both decanters are fully hallmarked with silver marks and makers marks of Koch & Bergfeld.